Chag Sameach! See Monthly Calendar for davening times. 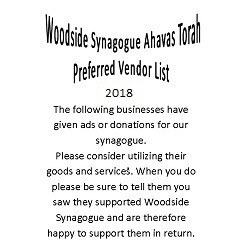 Wishing everyone a Shana Tova from Woodside Synagogue.